Pierz High School; PreK-8th grade; Weigh-ins 9-10 am, wrestling starts at 10:30; extended weigh-ins for 7-8th grade until 11 am (NYWA weights and tenths will not be covered); a wrestler does not have to declare their weight until regions so weight can change from districts to regions but not from regions to state! Wrestlers must have wrestled at an NYWA district tournament prior to attending a regional event. Region tournaments are NOT open tournaments; they are part of a qualifying process. There are NO exceptions to this. Wrestlers must wrestle at a region tournament before advancing to State. The top three wrestlers in each weight class will advance to state with the exception of the wild card region see wild card rotation below). Weight classes for Kindergarten has changed, effective September 2017. View weight classes. Friday: 5th -8th grade only; weigh-ins 4-5 pm, wrestling begins at approximately 5:30-6 pm. Saturday: K-4th grade; weigh-ins 7:30-8:30 am, wrestling begins at approximately 9-9:30 am. Admission: $6.00 for adults, $3.00 for students. Admission is paid daily. Two-day passes for adults are $10.00; for kids $5.00. Coaches Passes: $5.00, limit 1 coach per wrestler at mat side. Saturday: K-4th grade; weigh-ins 7-8:20 am, wrestling begins at 9:20 am. Weigh-ins for 5-8th grade, 10:30 am - 12:00 pm, wrestling will begin 30 minutes after completion of morning session. Snow date - Sunday, March 24th with same timelines. 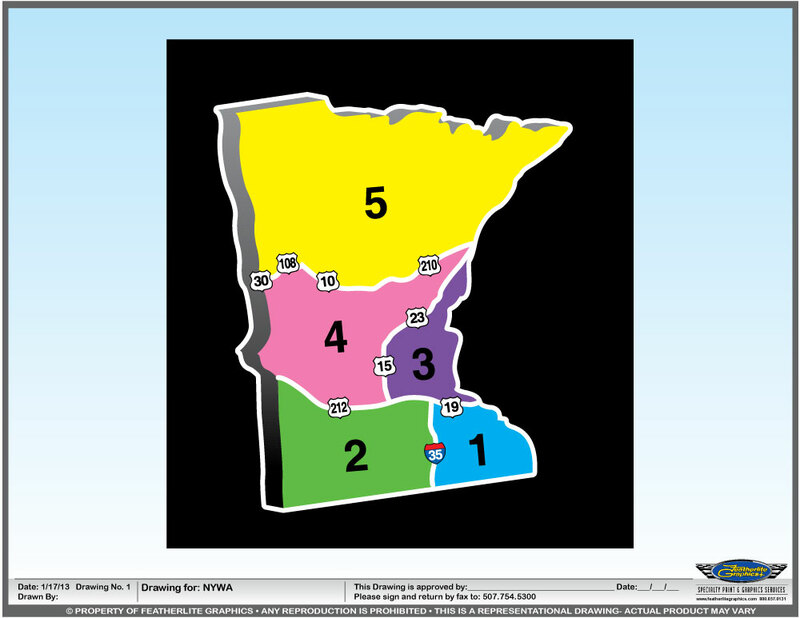 For other general information, check out these websites: www.windom-mn.com or www.winwacc.com. Saturday: K-8th grade; weigh-ins 7-8:30 am; wrestling begins at 9:30 am. Friday: 7-8th grade ONLY; weigh-ins 4-4:30 pm, wrestling begins at 5:00 pm. Saturday: K-6th grade; weigh-ins 7:30-8:30 am for all K-6th graders; wrestling begins at 9:30 am for all wrestlers. **Changes for this year - all 5-6th graders will now wrestle on Friday night! Friday: 5-8th grade; weigh-ins 4-5 pm, wrestling begins at 5:30 pm. Saturday: K-4th grade; weigh-ins 7:30-9:30 am, wrestling begins at 10:30 am. Admission: $5.00 for adults, $3.00 for students. Admission is paid daily. All registrations must be done online and payment must be made at time of entry. Registration for K-6 and 7-8 teams will begin mid-January. Pre-registration is required. TEAM REGION REGISTRATION IS OPEN: *CLICK HERE TO REGISTER FOR TEAM REGIONS (K-6 & 7-8). Only coaches should be registering a team for the region tournament. Entry fee must be paid and the roster can be completed at a later date. The Invite tournament is run in conjunction with the State Tournament. Both events are at the Mayo Civic Center. Any wrestler who places 4th-6th at regions can register for the Invite tournament. Any wrestler who places 4th-6th at Regions can register for the invite tournament now. Any wrestler who is coming to state as part of a team or participated at regions but did not place can register after the initial deadline. If you have specific questions regarding the Invite tournament, please call (800) 540-4140. NYWA State and Invite tournaments are jointly held at the Mayo Civic Center. Any wrestlers who place 1st-3rd at regions will advance to state with the exception of the 4th placer from the wildcard region which also advances to state Team competition begins on Thursday for 7th & 8th grade teams. There will be two separate weigh-ins for 7th & 8th graders, those wrestling on team and those who aren't on team. There will be a separate weigh-in time for 5th & 6th graders. Individual competition for 7th & 8th graders will begin on Thursday and competition for 5th & 6th graders will begin Friday morning. All wrestlers, team and individual, will receive a one-pound allowance at state and invite ONLY! There is no weight allowance at region events. All K-4th graders will weigh in on Friday evening. Wrestlers, grades 5th & 6th, do NOT have to weigh in again on Friday evening unless they are wrestling a different weight for the K-6 team competition. There will be an additional weigh-in on Saturday for those wrestlers who are only wrestling on the team. All wrestlers must advance from districts to regions to state. NYWA regions and state are NOT open tournaments. Wrestlers are not allowed to wrestle in regions if they did not participate at a district and cannot wrestle at state if they did not wrestle at regions. Wrestlers cannot change weight classes from regions to state. If you have additional questions, please contact NYWA at (800) 540-4140 or email NYWA at info@nywa-mn.com. These dates are subject to change and are tentative dates only. 2020 NYWA Schedule - NCAA's are in MN so we will have an extra week before regions due to this awesome event in our home state!